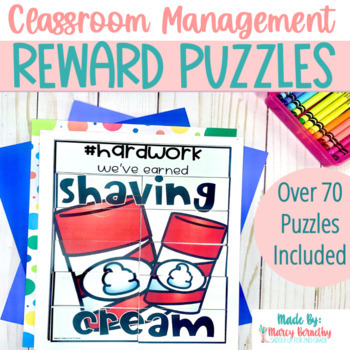 These whole group classroom management board puzzles are the perfect way to reward your kiddos for good behavior and help control the chaos in your classroom. Simply print the #hardwork board. Choose your reward poster (10 or 15 card options), print, laminate and cut apart on the lines. Label the pieces with numbers 1-10 or 1-15 on the back. 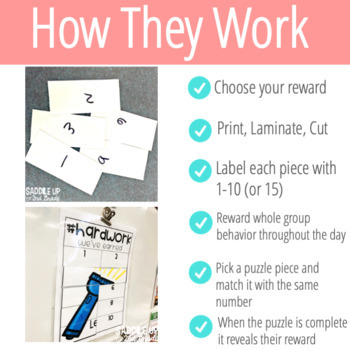 Reward whole group behavior throughout the day by letting kids draw a number and place it on the matching number on the #hardwork board. My board is laminated and I use sticky tack with the cards. 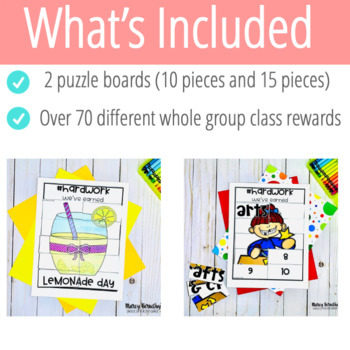 Once the board is filled up, your class earns that as a treat for awesome behavior! There are currently 58 reward posters. This purchase will be an ENDLESS BUNDLE! By purchasing, you'll get all the new updates! Here is what is included so far. Have an idea that you'd like added. Email me and I'll be happy to add it if I can. Click on the preview to get a closer look. Let me know if you have anymore questions and I'll be happy to help. 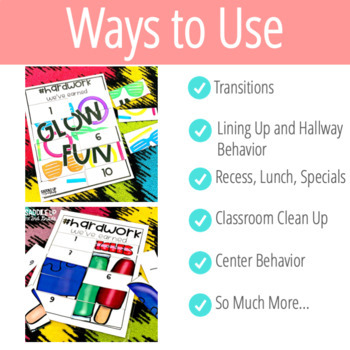 Classroom Reward Coupons that Won't Cost You a Thing!